The former Rookie of the Year, who has amassed European Tour career earnings of €4.68 million, is a tenuous 60th on the money list and in danger of missing out a place in next week’s season-ending DP World Tour Championship in Dubai. Only the top 60 will make it to Jumeirah Golf Estates for the $8,000,000 finale and Lawrie knows he is just €14,997 ahead of 61st ranked David Howell, who finished the day tied for 17th with the Dubliner. Spain’s Javier Colomo, currently plying his trade on the Asian Tour, finished a shot clear of Miguel Angel Jimenez and Andrew Dodt at the top of the leaderbord thanks to a career-best 64. Jimenez could smash Des Smyth’s record of 48 years and 24 days for the oldest winner on the European Tour if he captures the Hong Kong Open title for the third time in his career on Sunday. The pony-tailed Spaniard would set a new best of 48 years, 10 months and 13 days and he’s certainly not ruling himself out despite finishing with two bogeys for a 65. “I am like a good bottle of Rioja because I just get better and better with age,” Jimenez said. Padraig Harrington, sporting a flamboyant moustache in aid of the ‘Movember’ cancer initiative, is tied for 54th on one over after a 71. The Harring’tache. 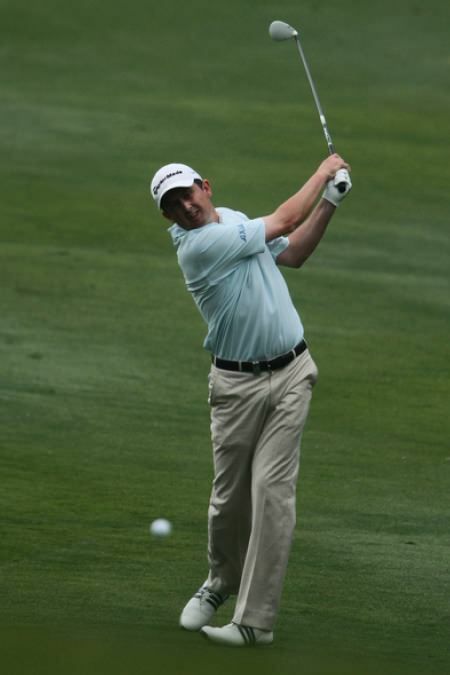 The Dubliner, 41, was two under through four holes but bogeyed the fifth and sixth and then followed a birdie at the short eighth with a bogey at the ninth to turn in 34. The back nine was a rash of pars and a solitary bogey at the 426-yard 15th. Having secured the Race to Dubai in Singapore last week, world No 1 McIlroy was understandably lacking in pep as he posted a three over par 73, his worst score on tour since he closed with a four over 74 in the Tour Championship at East Lake nearly two months ago. “I just lacked a bit of energy out there, I felt a bit lethargic and mentally more than physically, if I am being honest,” McIlroy said after a round featuring four bogeys and a solitary birdie at the par-four third. Tied for 93rd and in danger of missing his first cut since his US Open defence last June, he added: “I suppose after last week, and winning the Race to Dubai title, it was always going to be a bit of a letdown. Muskerry’s Niall Turner, playing in the event as a member of the Asian Tour, was four over after three holes and eventually carded a four over 74 that left him tied 107th. Meanwhile, Ballyclare’s Gareth Maybin fired a one over 73 in the clashing SA Open to trail leader Merrick Bremner by seven shots. The Ulster player is 110th in the Race to Dubai but looks unlikely to be ousted from the Top 119 who will keep their cards for 2013. 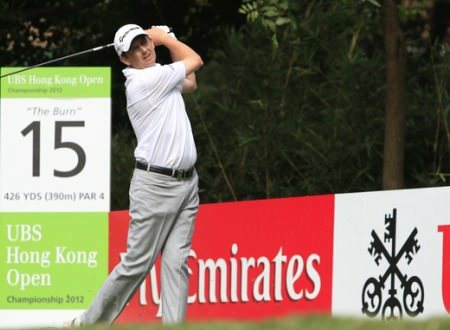 Peter Lawrie is in contention in the UBS Hong Kong Open. Picture by Jenny Matthews/www.golffile.ieFour and a half years is a long time to wait for your second European Tour victory. But if Peter Lawrie wants to take his mind off the fact that he’s 60th in the Race to Dubai and holding the last golden ticket for next week’s $8m DP World Tour Championship in Dubai, he knows that adding to his 2008 Spanish Open success is probably the best way forward.